Last Friday night a tragic house fire took the lives of 4 young children in nearby town, Conyers, Georgia. The 5-year old brother survived with injuries after the mother threw him out a second story window. The mother also survived with severe burns after trying to save the other children and then jumping out the window herself. The children were 8 months, 3, 7, and 9 years old. Fire-Rescue reported the fire was located upstairs, where there were no smoke detectors. 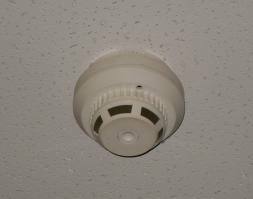 One smoke detector was located downstairs, but it had no battery. Official announcements made yesterday conclude that the fire was caused by the 5-year old playing with a lighter. Our community continues to grieve for the Glass family and their tragic loss. The funeral is today.